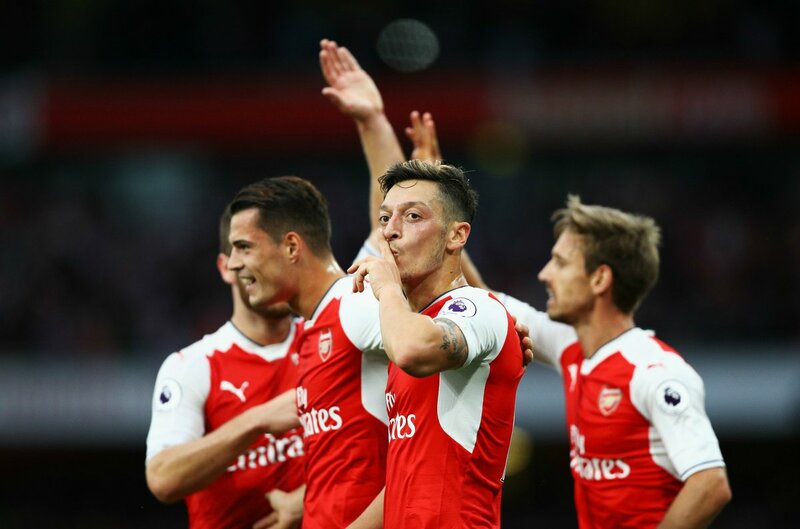 Arsenal romped to victory with a stunning display against Chelsea at the Emirates Stadium, courtesy of a first half starring Theo Walcott, Mesut Ozil and Alexis Sanchez. 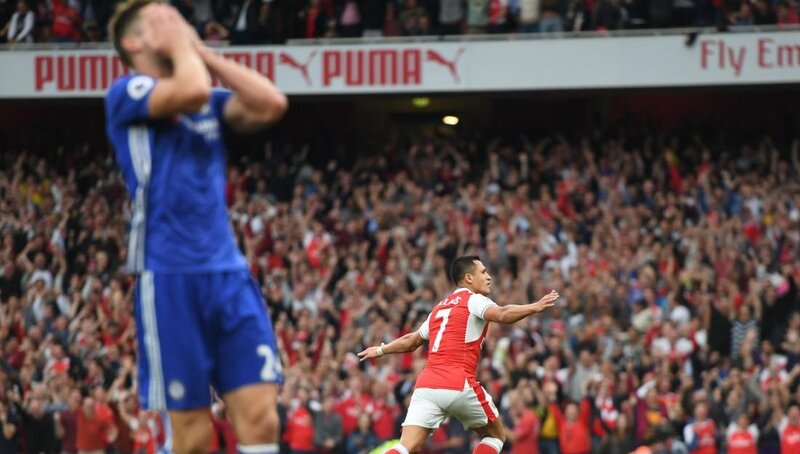 The Gunners had taken an early lead after Sanchez latched onto a lazy backpass from Gary Cahill and drove towards goal before nonchalantly scooping the ball over Thibaut Courtois. Chelsea were again undone soon after, a slick move started off by Alex Iwobi culminated in Theo Walcott slotting home at the back post, doubling the woes for Conte's team. 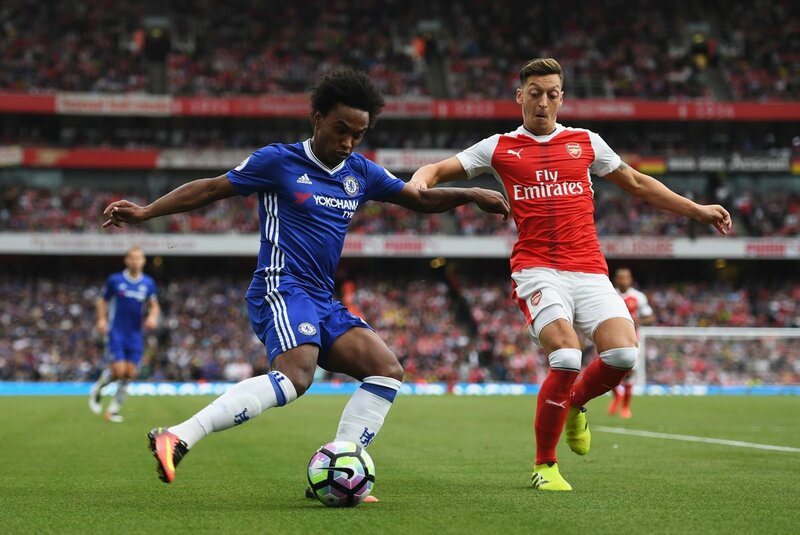 The contest was effectively over by half-time, as Arsenal broke from a Chelsea set-piece. Sanchez and Ozil marauded forward against the hapless Luiz and Cahill, with Sanchez flicking the ball up for Ozil to impressively spin and volley in off the post to leave the Blues reeling. With both the Manchester clubs, Tottenham and Liverpool all winning comfortably earlier on, this served as a mouthwatering clash between London's finest to cap off a wonderful day of action. Both sides went in to the match knowing only a win would ensure they didn't get left behind from the rest of the pack, and boy did Arsenal turn up. Conte's Chelsea side, still wounded from the home defeat to Liverpool a week ago, were taken aback by the sheer relentlessness in the Gunners' game, as Cazorla, Sanchez and Walcott each had a pop on goal before being given a helping hand to take the lead in the 12th minute, a clanger from Cahill served as the perfect assist for Arsenal's mercurial Chilean to open the scoring. A couple of minutes later, and Arsenal had doubled their lead, having not previously scored in a match against Chelsea for three years. Iwobi, Bellerin and Walcott carved through the heart of the visitors' defence with surgical precision, eventually putting the ball on a plate for the latter from 6 yards out. A Blues revival, however unlikely it may have been, was still on the cards as Kante, Matic and Fabregas patrolled the midfield, reducing the hosts to attacking on the break. However, pedestrian backwards passing and a lack of mobility in Chelsea's attack meant a real goalscoring opportunity failed to materialise, instead giving Arsenal the chance to effectively kill off the game with a brutal third goal after a counter at breakneck speed. Sanchez turned from scorer to provider this time, floating the ball up to the back stick where Ozil was on hand to effortlessly glance a bouncing volley past Courtois. 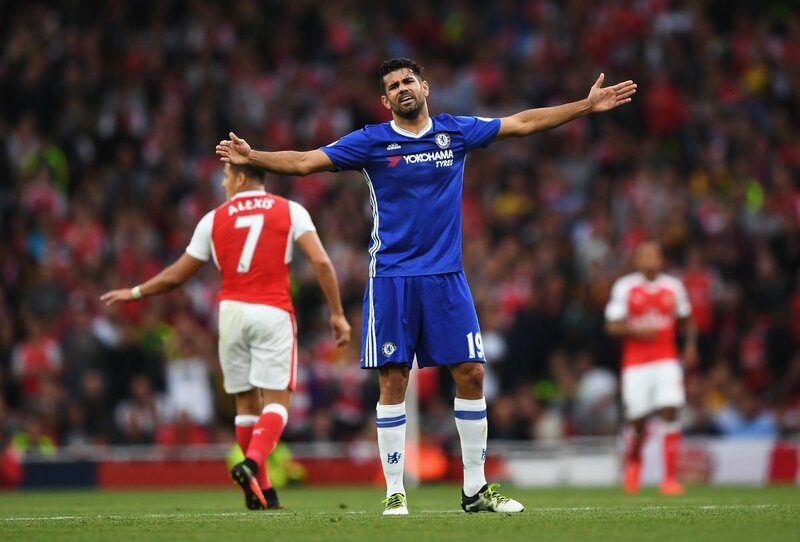 As REFEREE's whistle blew for half-time, Conte's Blues trudged off a broken mess, Arsenal elated with a superb first 45 minutes, It didn't get much better for them after the break, as Arsenal began to see out the game with ease, slicing through the midfield on occasion to find an opening. However, it wasn't with the speed and accuracy of the first half, as several chances went begging due to uncertain passing and dawdling while in possession. It appeared Conte had accepted his side were inferior on the day, and a host of changes meant his players switched to a 3-5-2 system, a trial of what could become the norm at Stamford Bridge under the Italian's leadership in future. It seemed to be working too, as his side became the more dominant in the closing stages of the game as Arsenal tired. The pick of the chances fell to Michy Batshuayi, who raced through one on one before having his driven effort saved by the legs of Cech. Arsenal jump up to third in the table on goal difference, and will turn their attentions to Basel in the Champions League, while Chelsea will be looking to get back to winning ways next week with a trip to Hull.